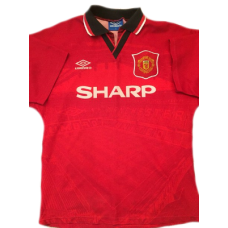 This Manchester United retro shirt home 1994-1995 with Sharp sponsor was used of players like: Irwin, Sharpe, Hughes and others. 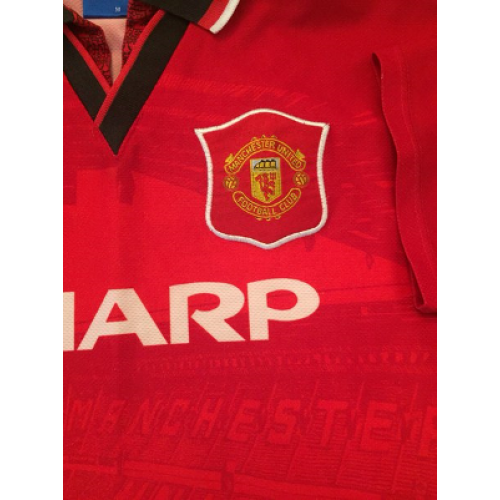 The 1994–95 season was Manchester United's third season in the Premier League, and their 20th consecutive season in the top division of English football. It was their first season since 1988–89 to end without a major trophy. United acquired David May from Blackburn Rovers early on in the season. 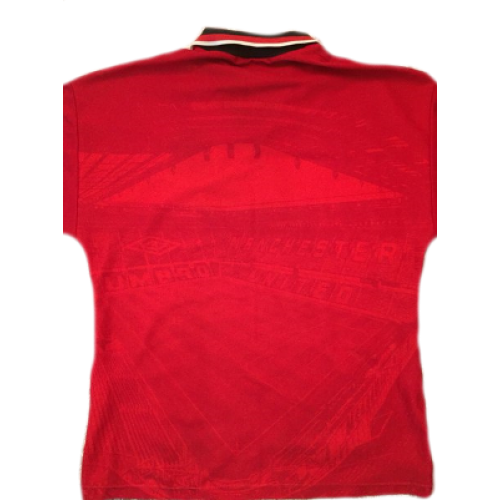 They then bought Andy Cole from Newcastle United in January for a British record fee of £7 million (£6 million cash with £1 million-rated Keith Gillespie in part-exchange). That month, Eric Cantona was involved in an incident away to Crystal Palace. As a result of abuse received from a fan, Cantona broke free of kitman Norman Davies' grasp as he was escorting him from the pitch after being sent off, and launched a kung-fu style kick at the fan. Cantona was banned from football for eight months and fined £20,000 by his club and a further £10,000 by the Football Association. United lost the Premier League title on the last day when, despite Blackburn Rovers losing to Liverpool, United could only manage a draw away to West Ham United. 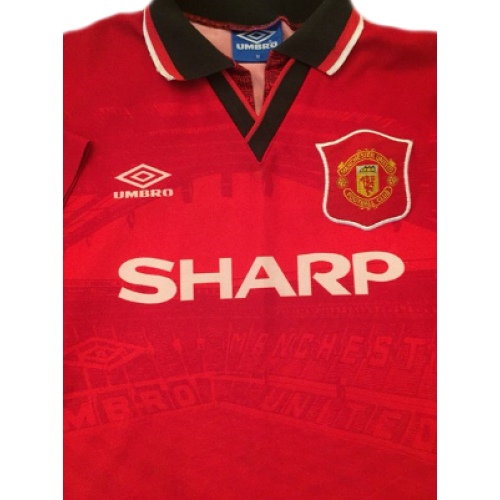 The misery continued when Manchester United went on to lose to Everton in the 1995 FA Cup Final. 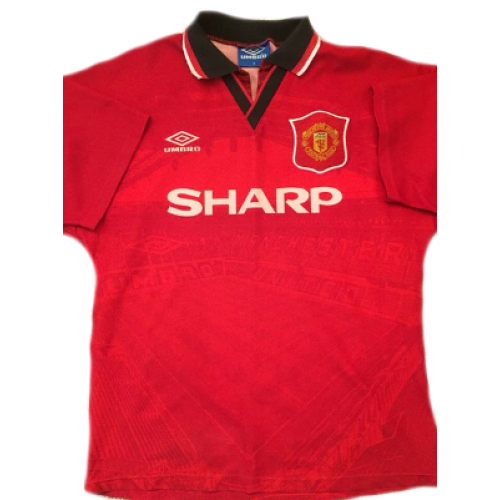 After the season was over, United controversially sold Paul Ince to Internazionale and Mark Hughes to Chelsea, while Andrei Kanchelskis was placed on the transfer list, eventually agreeing a deal with Everton (which was delayed by contract wrangling). Meanwhile, Eric Cantona was strongly linked with a £4 million move to join Paul Ince at Internazionale.